"For the second time this year, Egyptologist Betsy Bryan and her crew will be sharing their work with the world via their popular online diary, a digital window into day-to-day life on an archaeological dig. 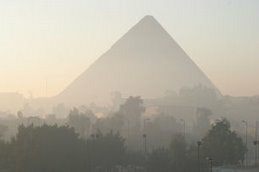 Starting about Friday, June 1, and running through early July, visitors to Hopkins in Egypt Today at: www.jhu.edu/neareast/egypttoday.html will find photos of Bryan's group working on the second, shorter portion of Johns Hopkins' 12th annual expedition in Luxor. Bryan will continue to explore the Egyptian New Kingdom (1567 to 1085 B.C.E. ), known as the "golden age" of Egyptian temple building. This time, the team will include two graduate and three undergraduate students from Johns Hopkins, as well as several stone conservators. All the work will be taking place inside the temple with the graduate students conducting test excavations to study the sub-foundations. Major dismantling of temple walls in order to correct the effects of groundwater is to be accompanied by the removal of architectural elements in the name of Queen Hatshepsut that are buried under the present temple. This material was discovered in 2006 but must await the work to restore the temple walls before it can be retrieved. 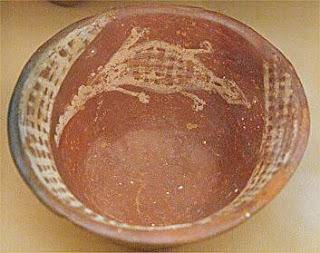 The undergraduates will draw pottery and small finds in an effort to ready the last six years of work for publication. The exploration is made possible by an American Research Center in Egypt sub-grant from the U.S. Agency for International Development. The Web site typically garners more than 50,000 hits when the dig is active, most recently in January." This is the complete item on the JHU Gazette web page. Good luck to the team - it must be very hard work at this time of the year, when most of the other missions have packed up and gone home due to the heat. "For 40 years before his death in 1954, a larger-than-life Indiana native named George Reisner reigned over the excavation of the Giza Necropolis, home of the Sphinx and the Great Pyramid. Considered by many to be the father of scientific archaeology, Reisner cared about documentation, not treasure hunting. He unearthed a breathtaking collection of antiquities, much of it now housed at Boston's Museum of Fine Arts (MFA), which, along with Harvard University, funded Reisner's work. Being a careful chronicler, he also amassed thousands of documents, maps, and photographs. There are far more items than any museum could display. The whole vast assortment is gradually becoming available online, thanks to the Giza Archives Project (www.mfa.org/giza). The project's director, Peter Der Manuelian—a lecturer in Egyptology and archaeology in Tufts' Department of Classics—has enlisted hundreds of Tufts students and other volunteers to help sort and digitize the archive's contents. "Through technology, we can put the archaeological site of Giza together again," he says. Visitors can view the striking dark-stone statue of the pharaoh Menkaure standing beside an unknown queen, now on display at the MFA. Then they can read Reisner's diary entry for January 18, 1910 (the day the statue was discovered), view other statues with similar features, and download reference works." See the above page for the full article and accompanying photographs. "More than 2,500 years ago, a very ill young woman died and was buried at the already long-abandoned site of the city of the pyramid builders at Giza. Her grave goods included an amulet of an obscure goddess that suggests the woman may not have been from the Giza area. Not only that, but she may not have been of Egyptian descent." See the above page for the full article, which is accompanied by some good photographs (mouse over the image to automatically invoke a bigger version of it). Jane Akshar's has posted some good photographs of the excavation at Madrasa on her Luxor News Blog: "If you remember Mansour Boraiks lecture about the SCA excavations http://touregypt.net/teblog/luxornews/?p=433 he talked about the Madrassa area and that has also been in the news recently as they have found an embankment there. Here are some photos from there showing the extent of the structures that have been found." See Jane's page above, for the full story. The Bulletin of the American Society of Papyrologists is now available online: "The Bulletin of the American Society of Papyrologists has been the official journal of the American Society of Papyrologists since the publication of Volume 1, issue 1 in 1963 and is the only North American journal devoted to papyrology and related disciplines. This website makes all issues of BASP available electronically, except the two most recent issues. BASP publishes a wide variety of articles and reviews of relevance to papyrology and related disciplines. From text editions to important synthetic articles, BASP has published studies on papyri, ostraca, and inscriptions in Greek, Latin, and Coptic. In the future, BASP will broaden its coverage to include Hieratic, Demotic, Aramaic, and Arabic texts." Jane Akshar reports that Luxor now has its own Egyptology society, complete with website: "Stan Kurowski one of the ex pats here has decided to start an Egyptology group in Luxor. Something we truly need and I am sure having seen the interest at the Mummification Museum lectures it will be very popular. The website is here http://www.luxoregyptology.org/ and although it is early days you are most welcome to sign up and be kept informed of about the progress of the group. First bit of exciting news is that the team from KV63 led by Dr Otto Schaden will be at the first meeting. Not sure when that is going to be as we have to wait on Otto getting here. Hopefully we will also have other members of the team like Earl Ertman, Roxanne Wilson and Betty Schneider in attendance. So quite an auspicious start for Luxor Egyptology Group." "22nd May - Visited Dendera today, and it seems that a major restoration/conservation is taking place in the first hypostyle hall. The ceiling and north wall are being cleaned, and the underlying colours are really glowing. This phase will take about another 6 months to complete, when the team (all Egyptian) will move on to the other sections of ceiling that are covered in a deep layer of soot." Stan is asking for feedback about the site, which is still in the design stages. Thanks to Peter Robinson for bringing the latest updates to the Current Research in Archaeology website to my attention. is an annual symposium held in universities in the UK for students from around the world. CRE aims to provide a forum for the discussion of Egyptological research currently being conducted by students at the graduate level, including archaeology, art, language, religion, science, culture and society, as well as theoretical and methodological approaches to the study of ancient Egypt. The next symposium, Current Research in Egyptology IX, will take place at the University of Manchester between Wednesday 9th and Friday 11th January 2008. A First Call for Papers can be found here. As well as informtaion about upcoming events, the site contains a bibliographical database of previous papers delivered at CRE, which may be of interest. Each record on the database contains details of author, title and the edition of CRE in which it can be found. There is a field available for the inclusion of an Abstract, although so far I haven't found a record containing one. There are 263 records on the site. "The Art Revival Centre (ARC) affiliated to the Supreme Council of Antiquities (SCA) was established more than 100 years ago to prepare drawings of Egyptian antiquities and make replicas of artefacts that are on display in the Egyptian Museum. The replicas, which are used as marketing tools to promote tourism at fairs in Egypt and abroad, are made by local artists. Replicas of antiquities are faithful to the original, even with the defects of the original item. The first step in making a reproduction involves producing a mould in plaster of Paris. When the copy is completed, it is painted in the same colours as the original. A coating of oils mixed with oxides is applied in order to make the copy look almost identical to the original, experts explain.Prices of copies vary according to the size and materials used. Pricing is done by a committee of the SCA. The ARC gives lectures on archaeology to schools, where it sets up small-scale displays of replicas of antiquities." This is the enitre post on the Egyptian Gazette website. "The course has in the middle a square shaped hole with dimensions of 12 centimeters that is opened to a big pottery fixed under the hole. An archeological source at the Italian mission stated that the mission found 'two balls' of polished limestone one of them the same diameter of the course while the other in the size of the square hole. The study of the unique engineering construction it was proved that no similar building is found in the ancient world, and it is expected that it was the first attempt for practicing a game similar to the 'Bowling'. The source added that the mission found this discovery during works of excavations in one of the buildings inside the ancient residential city at Kom Mady area that dates back to the Ptolemy era. The city comprises houses composed of two rooms and big hall. Inside the hall the mission found papyri rolls, pottery pieces, glass containers and some copper tools and Al-/fiancé pieces that date back to the Ptolemy era. The monumental area of Kom Mady is considered one of the key sites remaining in good shape, which antiquities date back to the 12th Pharaonic Dynasty." "John Romer has been trying to unravel the mysteries of the pyramids for more than 40 years. His knowledge, deep scholarship and, most of all, his easy and instantly accessible writing style, ensure that this book systematically explores and explains the current thinking about the Great Pyramid, both for the non-specialist and the academic." Dominique Gorlitz, 40, a former school teacher from Chemnitz, Germany, says the two-month journey he and 11 others will make on 41-foot-long craft will prove people could have traveled across the Atlantic Ocean in prehistoric times. . . . More than 25 volunteers are working on the craft at Liberty Landing Marina. Gorlitz based the craft's design on a northeastern African drawing from 6,000 years ago. He said part of it was built in Bolivia by Amyra Indians and then shipped here. According to Gorlitz, the discovery of traces of tobacco and cocaine in the tomb containing the mummy of the pharaoh Ramses II in Egypt is evidence that there was trade between the Old World and New World. In addition, Gorlitz said cave drawings found in Spain demonstrate the intricate knowledge people had about currents 14,000 years ago. But most experts don't agree." The Italian antiquities mission working in Kom Madi area in Fayoum governorate, south of Cairo, discovered a bowling-like hall dating back to the Ptolemaic age. The hall was discovered during excavations at a building inside an ancient residential area in Kom Madi. Kom Madi is a temple area and one of the important ancient sites still in good shape despite having a long history extending back to the 12th Pharaonic Dynasty. This is the complete item on the State Informtaion Service website. "A library, a cultural centre and a hospital are all new projects Mrs. Suzanne Mubarak inaugurated Saturday in Luxor. Obviously, the Upper Egyptian city is starting to get the attention it deserves, being the capital of the greatest civilisation in man's history. The airport has been rehabilitated as well. In fact, Mrs. Mubarak began her seven-hour tour at Luxor airport. Accompanying Mrs. Mubarak was Minister of Civil Aviation Ahmed Shafiq who spoke of renovation work at the airport. For her, the Mubarak Public Library is truly something to see. The library has an Egyptology department - the first of its kind in Egypt - as well as a language and a computer lab. The Egyptology section is made up of two rooms: one containing more than 20,000 relevant books and the other for maps." See th above page for the full story. Review, in French, of a new book on Cleopatra (written in German). Christoph Schäfer, Kleopatra. Gestalten der Antike. Darmstadt: Wissenschaftliche Buchgesellschaft, 2006. "Les biographies de Cléopâtre ne manquent pas. Le directeur de la collection dans laquelle paraît l'ouvrage recensé, M. Clauss, en a lui-même écrit une en 1995. C'est donc en connaissance de cause qu'il a sollicité son collègue de Hambourg, C. Schäfer, pour écrire celle-ci, destinée à un public cultivé, mais nullement spécialiste. En effet, son auteur fournit toutes les données nécessaires (et parfois plus) pour que le lecteur puisse comprendre les faits qu'il présente. Comme dans la grande majorité des biographies de Cléopâtre, ceux-ci sont exposés de manière chronologique. Par ailleurs, le corpus des sources littéraires disponibles restant le même, seule l'interprétation qu'on en fait varie d'un ouvrage à l'autre. C'est encore le cas dans celui de Schäfer qui, comme ses prédécesseurs, utilise aussi les rares inscriptions, monnaies et papyrus concernant le sujet." See the above page for a chapter by chapter review. This is nothing to do with Egyptology, but as it deals with the repatriation of artefacts taken illegally out of one country and sold to another, I have included it: "After months of intense discussions, negotiations between a New York antiquities collector and the Italian government have bogged down over a demand that she never be pursued by Italy again, several people close to the talks say. Italy is seeking the return of nine artifacts from the collector, Shelby White, contending that they were looted from its soil. Lawyers for both sides had been optimistic earlier this year that a deal could be struck. But an impasse developed over Ms. White’s insistence that in exchange for the objects, the Italian Culture Ministry grant her immunity from legal action of any kind and promise not to go after anything else she owns or acquires in the future, people familiar with the talks said. Italian officials do not suggest that Ms. White or her husband, the financier Leon Levy, who died in 2003, knowingly bought artifacts whose provenance was suspect. But they say that forgoing potential investigations of any suspected wrongdoing in the future would essentially allow tomb robbers and dishonest dealers to traffic with impunity." Indulging my weakness for nifty uses of the web for presenting archaeolgoical information, this is a lovely presentation of the 11 plate volumes and 9 text volumes that make up Description. The pages of the volumes have all been digitized and can be viewed interactively on the above page. Choose plate volumes or text volumes, choose a volume within the selected category, and then pick a page to view - you can then view all the pages in that volume by using the horizontal scroll bar that lies beneath the virtual book. "In the Spring of 1999 at the ARCE meetings in Chicago, Dr. Jacke Phillips read an announcement that Manfred Bietak had initiated an international project to resolve problems of chronology in the early Second Millennium B. C., in the Nile Valley, the Near East, and the Aegean. Making my dissertation available in electronic form is my contribution to this effort. The purpose is to make a large body of material available to scholars who may not have ready access to the wide range of evidence that pertains to this age of broad contacts." One to keep an eye on: "The project's aim is to create dynamic digital geological map data for the world!The target scale is 1:1 million. But the project will be pragmatic and accept a range of scales and the best available data.The geological map data will be made available as a distributed web service, using the latest web feature mapping approach.Geological Surveys will dynamically 'serve' the data for their territories to a web portal. The plan is to make it available through Google Earth and other dynamic map browsers. The initiative is truly multi-lateral and multi-national." Margaret Maitland, a D.Phil. candidate in Egyptology at the University of Oxford, writes about her blog as follows: "‘The Eloquent Peasant’ generally refers to an ancient Egyptian story, but in this case, it’s an Egyptology blog in which I intend to write about random topics ranging from reactions to conference talks, book and article reviews, various thoughts about things like current news, my visits to Egypt, Egypt in pop culture, and maybe even a hieroglyphic riddle or two… I’ll also address the daunting everyday struggle of combatting ignorance about Egypt. No, the pyramids weren’t built by little green men and I intend to tell you why!" The blog is only updated on an occasional basis, but there are some good posts in the archive, and the site is well worth keeping an eye on. There's a remarkable photograph, at the time of writing, of an aeriel view of Qurna, complete with bulldozed buildings. Fabulous satellite photograph of the area, with major archaeological wadis clearly marked, accompanied by a floristic list of the Eastern Gilf Kebir. "Die Sahara im Osten Nordafrikas, genannt 'Libysche Wüste' oder 'Western Desert of Egypt', ist eines der trockensten Gebiete der Erde. Es wird geprägt von Gebirgs- bzw. Steinwüsten (Hammada), Kieswüsten (Serir) und Sandwüsten (Erg), die den kleinsten Teil bedecken (für die gesamte Sahara etwa 20%). Ihr fast regenloser Kern liegt im südwestlichen Bereich der "Western Desert" Ägyptens. Dieser zentrale Teil der Sahara ist wegen seiner extrem schweren Zugänglichkeit erst relativ spät ins Blickfeld der wissenschaftlichen Forschung geraten. Die dort vorherrschenden Landschaftsformen dienten der NASA zur Vorbereitung ihrer Marsmissionen. " Some terrific photos of different Western Desert desert forms. Nevine el-Aref reports on Mrs Suzanne Mubarak's visit to Luxor, during which she inaugurated a branch of the Mubarak Public Library and opened a Nubian Cultural Centre: "Luxor is often described as the world's greatest open air museum. The site of Egypt's ancient capital Thebes, the town boasts incomparable temples and a splendid necropolis. Sadly, though, over the centuries Luxor's monuments have suffered encroachment. Houses were built on top of ancient tombs on the West Bank and the open court fronting the Luxor Temple was turned into a bustling souq. Since 2005, however, as part of President Hosni Mubarak's programme to develop Upper Egypt and improve services for Egyptians as well as develop and promote tourist projects which will in turn provide job opportunities, Luxor has been the site of a major development scheme. New houses and shops have been built to replace buildings demolished because they encroached on ancient monuments. Excavations have been undertaken to reveal the full route of the Avenue of Sphinxes, once the royal path between Luxor and Karnak temples. After two years of work, Luxor, which has twice won prizes for its comprehensive development plan from the International Competition of Islamic Capitals and Cities, is looking more alluring than ever. Everything has been changed: buildings along the Corniche have been repainted in earth colours and the city's streets and squares have been subject to extensive refurbishment, including the planting of large numbers of trees and flowers." This is an excellent and straight forward piece from Margaret Maitland's elegant Egyptology blog, which compares the refusal of Germany to allow the Nefertiti bust to travel with Egypt's own decision not to send the famous Tutankhamun golden mask on tour with the Tutankhamun and the Golden Age of Pharaohs exhibition: "Although a number of Germans are actively supporting the loan, the Berlin Museum is using the same argument that the Egyptians used for keeping Tut’s death mask from travelling—it claims that the Nefertiti bust is too fragile to travel. This could quite possibly true. However, Zahi Hawass is not convinced and is threatening to declare the bust stolen property and start legal action to have it returned to Egypt permanently." See the above page for her complete post. More coverage on the recent protest re the Tutankhamun exhibition: "Molefi Asante, professor of African-American studies at Temple University, led a protest yesterday in front of the Franklin Institute claiming the museum's exhibit on King Tutankhamun is racist. Among the grievances shared by members of the Association of Kemetic Nubian Heritage, of which Asante is president, is that the exhibit has no mention of Africa and that information within suggests that King Tut, an African, was white." Well, no. It turns out the higher ranks wore clothes. Slaves and manual laborers wore nothing or almost nothing. But the middle and upper classes wore linen cloth. But what about those bas reliefs of Pharoah’s wife wearing nothing but a see-through gown? Archaeologist Caroline Rocheleau explained that Egyptian art was not completely representational. The sculptors carved those naked bodies under clothes to indicate a female subject. Then they sketched outlines of dresses." You do have to wonder, sometimes, what Ramesses II and his peers would have made of all that the Egyptian civilization inspired. "When science teacher Andrea Thomas (JoAnna Cameron) discovers an amulet on an archaeological dig, she discovers something else: that the amulet can grant her the powers once wielded by the mighty Egyptian Goddess, Isis. Soaring as the falcon soars, running with the speed of gazelles, the transformed Andrea fights crime and rights wrongs in addition to imparting the wisdom of the ages. Her closest friends, fellow teacher Rick Mason (Brian Cutler) and students Cindy Lee (Joanna Pang) and Renee Carrol (Ronalda Douglas) are unaware of her secret identity and mystical powers… the only one who knows the truth is her pet crow, Tut!" For anyone who is hooked on the original Stargate movie (the one with Kurt Russell and James Spader) this is a review of a new DVD edition, comparing previous releases and accompanying material with the Blu-ray version. "After the River God, The Seventh Scroll and Warlock, we follow Taita as he gains the Inner Eye with which he may see the aura of every living soul and tell if they are of The Truth or living The Lie. The Nile has dried up and the people of Egypt are suffering, plague and famine rule the land, and the Pharaoh has summoned Taita. They do not know what lies ahead but their quest will take them through swamps, mosquitoes and cannibals to their final destination which, at first sight, seems to be the ultimate haven." Alright, I've read this a couple of times and I'm still none the wiser. I am assuming that it is the scene-setting for a game that is about to be released, but I could well be missing the entire point. Here's a flavour anyway: "During the Usurper Wars, a powerful deity established himself as god-king of Rubaiyat, calling himself Ur-Khamset, or the Red Pharaoh. He slew or imprisoned the local deities of the desert continent, subjugated its people, and then began shaping his subjects into a powerful army with which to contest the rulership of Agon and force access to the Halls of the Goddess. Ultimately, the Red Pharaoh was defeated by an alliance of rival gods. But as he expired, the Red Pharaoh cast one final, terrible spell which drained all his human subjects of life and liquid, leaving only skeletons to be buried by the desert. Thus Ur-Khamset took his people with him into apparent oblivion, leaving his conquerors with nothing but bone-strewn ruins to rule. Unbeknownst to all, Ur-Khamset had foreseen his demise and prepared for it by constructing the Red Pyramid at the bottom of Lake Angra. He imbued the pyramid with spells that would summon and preserve his own-life force at the moment of death, and then resurrect him when the stars were right for his return. As the Red Pyramid rose from the lakebed, a thousand bony hands clawed their way out from under the accumulated sands of millennia." Imagine the thrill British archaeologist Howard Carter felt when he discovered King Tut's tomb after scouring the Egyptian desert for years. Can't see yourself unearthing gold artifacts and the king's sarcophagi? Then try to remember going on childhood scavenger hunts, scurrying around the neighborhood for soda bottles, a library card and a picture of Mike Schmidt. Add a bit of 21st-century technology, and you have geocaching - a craze that is spreading around the world. "According to Mahrus, neither winter nor summer is the ideal time for underwater excavations. Exceptionally, some have to dive during these seasons for different purposes like testing new equipment or getting a view of a potential target. But Mahrus and his coworkers were speaking from an experienced discoverer’s perspective, beacuse, apart from climatic changes, working underwater is never risk-free and every time an underwater archaeologist should be ready to come face-to-face with death. He could lose his way within a wreck, be stuck in a heavy object or develop a fault with his diving set. However, archaeologists’ fears are always overshadowed by their keenness to unravel one aspect of Egypt’s history that has become the focus and talk of the entire world after more than a decade of underwater excavations." Thanks very much to Francois for supplying this video on the Belgian RTL website. It shows an interview with Pr. Harco Willems and has some good video footage of the tomb itself. It is all in French, but even if your French is a bit rusty, it is all very clearly enunciated and very easy to follow. Please note - I couldn't get this to work in the latest version of Firefox (it just defaults to today's news), but it worked perfectly in Internet Explorer 7. "University of Alabama at Birmingham (UAB) Egyptologist Sarah Parcak, Ph.D., is in a race against time. In Egypt, thousands of known and unknown archaeological sites are at risk of destruction from urban sprawl, expanding development and looting. Twenty-three percent of ancient sites in the East Delta region alone have disappeared in the past 30 years, with 8 percent lying under towns and 76 percent undergoing full to partial removal. Should the same rate of site destruction continue and increase, by 2050, virtually all archaeological sites, or tells, could be wiped out in the region." "Pahat is missing a necklace and gold foot coverings traditionally buried with a deceased priest. But what is more fascinating is what Pahat is not missing — his organs. Many mummies' organs are removed and buried with the body in canopic jars. Research, however, suggests that some of Pahat's insides are still within him." There are two photos on the page showing conservation work being carried out on Pahat by Dena Cirpili, of Objects Conservation Services in Buffalo, N.Y., and at the bottom of the page there is a slide show which shows six more photographs. The CT scan is due to be carried out on Monday June 4th, after which more information should be available. According to museum records, Pahat also received a CT, or 'cat scan,' in 1984, which revealed that he was probably the victim of grave robbers. Torn cloth around the neck and severed vertebrae indicate that he suffered a sort of postmortem decapitation. He also was found to have several broken toes. This suggested to researchers that robbers stole a necklace and golden foot coverings traditionally buried with a deceased priest." See the above page for the rest of this brief story. This item follows on from a story on the International Herald Tribune which described allegations that the Barcelona museum of Egyptology may have an item on display that was removed from Egypt illegally. "El juez Emili Soler Calucho ha acordado la retención de diversas arqueológicas del Museu Egipci de Barcelona durante un plazo de tres meses hasta que el Gobierno egipcio acredite si reclama esas obras. A la vez, el magistrado ha reiterado que no existe un presunto delito de contrabando, como denunció una egiptóloga, y ha vuelto a sobreseer el procedimiento penal. . . . Fuentes de la Fundació Clos-Museu Egipci reiteraron ayer que las piezas fueron adquiridas legalmente y que no existe ningún dato que demuestre que pudieran salir ilegalmente de Egipto." See the above page for the full story, originally reported in El Periodico. Rough translation: A judge has ordered that a number of items from the collection of the Egyptian Museum of Barcelona should be retained for a period of three months until the Egyptian government have investigated whether they wish to demand the return of the items in question. At the same time, the magistrate has reiterated that at the moment there is no reason to presume that the items were smuggled as has been claimed by an Egyptologist. Representatives of the Foundation Clos-Museu Egipci repeated yesterday that the artefacts were aquired legally and that there is no evidence to demonstrate that they were taken from Egypt illegaly. Thanks very much to Ann Eglintine who has heard from Marleen De Meyer that there will be an article in the next issue of Egyptian Archaeology (Bulletin of the EES) about the new discovery of the tomb of Henu. Although there are no details about upcoming issues of the magazine on the above page (the EA web page has been showing "this page is currently being updated" for the last two years), there are details of how to order any EES publication. "The sculpture celebrates a former Greenhithe resident, Sir Erasmus Wilson (1809-1884), who financed the transportation of `Cleopatra’s Needle` from Alexandria, Egypt to the Thames Embankment in 1878. Sir Erasmus, one of Britain’s first Dermatologists was also a Philanthropist and well known Masonic Mason – there is still an Erasmus Wilson Masonic Lodge in existence today in Gravesend. Sir Erasmus’s father came to Dartford as Apothecary and Surgeon to the Workhouse, at the former site of the now redundant West Hill Hospital. He previously served as a Naval Surgeon under Admiral Nelson. The act of his son Erasmus to bring Cleopatra’s Needle to the Embankment was very possibly due to his wish to commemorate his father’s Naval service – the obelisk had been presented to England in 1819 by a grateful Mahommed Ali for ridding Egypt of the French but until Sir Erasmus came along no one and the motive and money to pay for the transport." The original obelisk was brought over in a specially designed ship, and was nearly lost at sea: "
A specially designed cigar-shaped container ship, called the Cleopatra, was used to convey this priceless treasure. It was built by the Dixon brothers and when finished was an iron cylinder, 93 feet long, 15 feet wide, and was divided into ten watertight compartments. A cabin, bilge keels, bridge and rudder were riveted on and to everyone's delight …she floated! But on October 14th 1877 in treacherous waters off the west coast of France in the Bay of Biscay disaster stuck…the Cleopatra was in danger of sinking." There's a short but enjoyable video clip of the tomb of Henu (preceded, inevitably, by an annoying advert) on the above page. The link to the video is under the photograph. "A travelling exhibition on King Tutankhamun drew about 50 protesters in Philadelphia who denounced the popular display as racist. Molefi Asante, a professor of African-American studies at Temple University, led the demonstration on Sunday outside the Franklin Institute, claiming the exhibit has no mention of Africa and that it suggests the ancient Egyptian king was white. Asante, who is also president of the Association of Kemetic Nubian Heritage, specifically pointed to a representation of Tut that 'looks more like Boy George than the boy king'. A spokesperson for the Franklin Institute said images of Tut vary throughout the museum. In response to the protest, the museum will hold a symposium this summer at which scholars and experts will discuss forensic evidence relating to King Tut. Similar protests have been held in other US cities where the exhibit has appeared." This is the complete bulletin on the news24.com website. "Interest is growing fast in visiting the Tutankhamun exhibition in london over the last few weeks, with over 121,000 people adding there email address to be in with a chance of getting tickets for the London exhibition. If you would like to be one of the first to get details of how to buy Tutankhamun exhibition tickets when they go on sale please add your email in the yellow box and click the "subscibe" button on the bottom right of the website." Be warned - the moment that you click on the link, a video clip with full audio commentary activates. It is an interesting video, but not great if you are accessing the site from your office. "This extraordinary international touring exhibition follows the story of Keku, an Egyptian woman who lived 2700 years ago, as she makes the perilous journey through the underworld. Drawing on over 200 ancient Egyptian burial treasures from animal mummies to a magnificently decorated sarcophagus (coffin), Keku’s story offers a fascinating insight into the mysterious death rituals of this age-old civilization." The exhibition will run from the 25th May 2007 until the 12th August 2007. A review of museums in Norfolk (UK) includes an overview of Swaffham Museum: "Swaffham Museum first opened in 1986. The museum is based at the Town Hall and explores the rich heritage of the area, covering aspects of life including trade, industries and domestic life from prehistoric times to the present day. There's a dedicated display about the story of Swaffham-born Howard Carter and his expedition to the Valley of the Kings where he discovered Tutankhamen's tomb." See the above page for full details (third museum down). "No wonder, Luxor has been referred to as the world’s greatest open-air museum. We arrived in the wee hours of the morn and instead of crawling back into bed, sat spellbound at our hotel room balcony that provided a breathtaking view of the Nile and the valleys beyond. It was lovely to watch how the still waters of the Nile at day break slowly transformed to a busy port during the day, with several cruise liners docking in. From the balcony we could also see the famed Luxor temple. Modern living and history co-exist here, a good blend of the past and present. We set off energetically to attack Egypt’s history. We first visited the museum, which housed some of the most magnificent figurines of kings and queens, excavated from the temples. We proceeded to the next historical wonder of Karnak temple complex. It is the largest temple complex ever built by man, and represents the combined achievement of many generations of ancient builders. Karnak during ancient time was Ipet-isut, meaning ‘The most sacred of places’. We could feel the triumphs and tribulations of Kings Ramses, Amon Re, Tuthmosis and Queens Nefertiti, Nefartari, Hetshepsut, etc through their life size statues and obelisks." "A set of three pyramids with the tallest being built by King Cheops and known as the Great Pyramid. When you finally see the Great Pyramid, one is left speechless because the facts keep rolling around your head - this was built 3,000 years ago and needed 2.5 million blocks of solid stone and back-breaking labour. It's the easiest thing to sketch in your drawing books as children but to know how they were built remains unfathomable even today. Up at the entrance, it's like a summit from where you can see the entire city of Cairo. It would take you three hours to see the pyramids up close, it's a panoramic view and is best to start early in the morning. Close to these pyramids is a legendary statue of a lion's body with a human head. Known as the Great Sphinx - it was regarded as a beast of great power and wisdom. When it was first made, it had bright colours for the face, head dress and the body. This must've been a sure eyecatcher in the desert. But years later, it's body had got buried in sand. An hour away from Giza is a place called Saqqara. Seeing the pyramid here gives you an idea of how the ancient Egyptians finally arrived at the perfect structure of the pyramids at Giza, after several trial and errors." "A team from the Katholieke Universiteit Leuven (Belgium) directed by professor Harco Willems has discovered a completely intact tomb dating to about 2050 BC at the site of Dayr al-Barsha in Middle Egypt. The burial was located in a rock cut shaft in the tomb of Uky in a vast necropolis on the southern hill of Dayr al-Barsha. This area has been under investigation since 2005 by Marleen De Meyer, who carried out the excavation of the tomb. The tomb of Uky consists of two consecutive rooms,of which the shafts in the entrance chamber had already been excavated in 2005-2006. This year the two shafts in the rear chamber were the object of research. The fill of one of these shafts, a square one in the rear of the chamber, soon turned out to be entirely different than that of robbed shafts. It consisted of almost sterile limestone debris that formed the original backfill of a shaft after a burial had taken place in ancient times. Already on the second day a small hole emerged in the north wall of the shaft, and through it an entirely intact burial chamber could be seen. Even though the burial took place over four thousand years ago, the colours on the painted objects were very fresh, and no dust even covered them." See the above page for full details and some really lovely photographs. "Belgian archaeologists have discovered the intact tomb of an Egyptian courtier who lived about 4,000 years ago, Egypt's culture ministry said on Sunday. 'The statuettes (are of) the best quality of their time. They are characterized by realistic touches and unusual details such as the dirty hands and feet of the brick makers,' the statement said, quoting Belgian team leader Harco Willems. Minya is 225 km (140 miles) south of Cairo." More good news from OsirisNet: Thanks to Jon Hirst's quick translation, the Theban Tomb 409 of Kyky-Samut is now on line in English. "Dame Mary Douglas was one of the outstanding British social anthropologists of the latter half of the 20th century. Her books, Purity and Danger (1966) and Natural Symbols (1970), were seminal for anthropologists and were widely appreciated in other disciplines. A Sunday Times survey of “Makers of the 20th Century” in 1991 listed Purity and Danger among the 100 most influential nonfiction works since 1945; only four women and four anthropologists made the list. Starting as an Africanist, she branched out to cover contemporary Western society, addressing such topics as risk analysis and environmentalism, and food and consumption. Old Testament religion was another interest, first in her famous discussion of the 'abominations of Leviticus', in Purity and Danger, and latterly in studies of Numbers and Leviticus." See the above page for the complete obituary. The author, Katherine Dillinger, provides her top 10 tips for going on holiday to Egypt. she starts of the the "10th circle of hell" (Frankfurt airport in Germany), gives a brief but hair raising account of toilets on the sleeper train from Cairo to Luxor, and concludes with some advice about keeping an open mind. She also offers a short list of hotels and restaurants. This site allows you a single page view before asking you to register (which it will do if you click on any of the photographs). Apologies for the lack of weekend postings. More trouble in paradise! Normal service really has resumed this time. I've back-dated the postings for Saturday and Sunday. If I get time today I'll go back and translate the Spanish and Italian articles (found in the EEF News Digest, with my thanks) into English. I suspect that there are more posts to be added, but Blogger.com has ground to an almost complete standstill, so any that I've missed will be added tomorrow morning. Finally, Blogger have made some changes to the service, and the formatting of some of the posts changes between saving and publishing. This mostly impacts line spacing. Apologies if some of the posts look a bit odd at the moment - I'll sort it out when I've figured out why it is happening. The July issue of the JAS includes an article entitled Monuments on a migrating Nile John K. Hillier, Judith M. Bunbury and Angus Graham (Volume 34, Issue 7, July 2007, Pages 1011-1015). Abstract: "River courses migrate, but many Egyptologists plot the present-day River Nile on maps of the valley in archaeological times. This may have misled interpretations of ancient monuments and settlements. We show a river migrating rapidly on historical timescales in the Luxor region, sweeping > 5 km across the valley at rates on the order of 2–3 km per 1000 years. Satellite elevation data (SRTM), processed by a novel method, and Landsat imagery are used to trace ancient river levees and extend trends present in 200 years of archive maps thousands of years into the past. This supplements observations by Ptolemy (121–141 AD) and places local geo-archaeological studies in a wider spatial and temporal context. Satellite data are demonstrated to be a relatively quick and easy constraint upon ancient river courses, and a basis for investigations along the Egyptian Nile, even in logistically inaccessible regions." Zahi Hawwas, Secretary General of the Supreme Council of Antiquities (SCA), said on 16/5/2007 that the fourth stage of a project on discovering the route of the Road of Rams at Luxor kicked off. The Rams Road is an avenue of ram-headed sphinxes leading from the Luxor Temple to the Great Temple of Amun-Ra at Karnak. In statements to MENA, Hawwas said that the third stage of the project led to the discovery of the 54th sphinx-like statue, as well as a quartz steal depicting Bakenkhunsu, the High Priest of Amun-Ra, King of the Gods. The discovery adjusts and reveals more about the history of the 20th dynasty, said Hawwas. The avenue of ram-headed sphinxes leeds the visitor to the massive front of the first pillar of the Karnak Temple in the ancient city of Luxor, some 690km south of the capital Cairo." This is the complete bulletin on the State Information Service website. Thanks very much to Kat Newkirk for sending me these links. A summary of Michel Barsoum's research into whether or not a form of concrete was used in the construction of the Great Pyramid has been posted at the above address. Barsoum is a Professor of Materials Science and Engineering at Drexel University. You will find a video of a lecture delivered at Drexel University, accompanied by a PowerPoint presentation, by Michel Barsoum. The lecture is enitled The Surprising Truth Behind the Construction of the Great Pyramids. The lecture originally aired on the 23rd February 2007 and it lasts for around an hour and 20 minutes. As with so many real-life presentations, Barsoum is plagued by a few technical problems at the beginning, but he then presents his theories about how the Great Pyramid was built. The PowerPoint changes automatically as the video proceeds - it's a rather nice use of the Web to communicate conventionally presented information. "Professor Michel Barsoum, Distinguished Professor in the Department of Materials Science and Engineering at Drexel University, and colleagues have found scientific evidence that parts of the Great Pyramids of Giza were built using an early form of concrete, debunking an age old myth that they were built using only cut limestone blocks." "El Gobierno de la Comunidad de Madrid ha acordado incoar expediente para declarar al Templo de Debod Bien de Interés Cultural (BIC) en la categoría de Monumento. Según ha explicado el vicepresidente primero madrileño, Ignacio González, el Consejo de Gobierno ha considerado que el Templo egipcio, situado junto al Parque del Oeste, es un "monumento" que ya forma parte "del paisaje y de la geografía urbana de Madrid". Por ello, el Gobierno regional ha decidido iniciar los trámites para la declaración del Templo como Monumento y darle la máxima protección, para lo cual se abre un periodo de información pública, por el plazo de un mes, en el que pueden participar los organismos e instituciones relacionadas con esta declaración. De este modo, las Reales Academias, Colegios Oficiales de Arquitectos o el Ayuntamiento de Madrid podrán formular las alegaciones que consideren oportuno, trámite previo a la declaración BIC del Templo, según ha explicado González." This is the complete bulletin on the elmundo.es website. The above exhibition opened today at the Red House Museum in Christchurch (Dorset, UK): "Out of Egypt contains artefacts from the Land of the Pharaohs, many brought back by Hampshire people in the 19th and 20th centuries as souvenirs of their travels, and later given to Hampshire and Winchester Museums Services. In the display you will discover how the Ancient Egyptians treated their dead, and see many of the objects placed in the tomb for use in the afterlife. There are mummy masks, and wrappings, shabti figures, which would come alive and do your work in the land of the dead, scarabs, jewellery and mummified animals. You can also find out more about life in Ancient Egypt by having a go at the many activities in the exhibition. Count like an Egyptian, write your name in hieroglyphics and hunt for creepy-crawlies in our re-creation of an ancient tomb." Only running from May 19th 2007 until June 23, 2007, this exhibition displays Egyptology artefacts from the Hampshire and Winchester Museums Services. "The second and almost perfect 29 million-year-old fossilised skull of an ancient relative of humans, apes and monkeys has been unearthed in Egypt, media reported Tuesday. The skull, from a species known as Aegyptopithecus zeuxis -- 'linking Egyptian ape' or dawn ape, was identified by Duke University primatologist Elwyn Simons in a quarry on the outskirts of Cairo. Because of the new specimen's remarkable wholeness, Simons and his colleagues were able to subject it to micro CT scanning, a computerized X-ray technique that can be used to calculate the approximate dimensions of the brain the cranium once encased. According to Simons, the specimen is from a young female that lived in the early Oligocene, a period of global cooling, volcanic eruptions and seismic disturbance, driven by the collision of the Indian and Asian continental plates. Based on previous fossils collected at the same dig site in a quarry outside Cairo, scientists have hypothesized that this early monkey already would have had a relatively large brain, said Simons." See the above page for the full story, which is accompanied by a photograph of the tiny skull. "La spedizione archeologica dell'Università di Pisa (con il Prof. Rosario Pintaudi-Università di Messina) ha effettuato una missione durante il mese di Aprile 2007, a Medinet Madi nel Fayum, in continuazione con quella svolta nell'autunno 2006, quando avvenne l'importante scoperta della localizzazione e esplorazione della fortezza romana, il dioclezianeo castrum Narmoutheos." The article is accompanied by a diagram and a photograph. Please don't be tempted to shoot the messenger: "Ancient Egyptians must have been familiar with aviation. They could manufacture types of airplanes to get aerial views of some important locations in Egypt; a technology that helped them secure their builders lots of essential materials, opined an Egyptologist Basam Al Shammaa. Al Shammaa, who has a special interest in the subject, pointed out that centuries before the science of geography came into existence, a papyrus map showing the locations of copper and gold mines in some mountainous areas could prove that the ancient engineers must have invented sail-propelled planes to explore the mountains and deserts. The map, which is currently exhibited at the Egyptian Museum in Turin, the second biggest Egyptian museum in the world, dates back to King Ramses VI's era. It shows the gold mines in an area known as Fawagir. The map couldn't have been drawn without getting a panoramic view from a flying object and to the best of his belief this was a plane, stressed the Egyptologist." Go to the above link to see the rest of the theory in full flight. "Countries fighting for the return of artifacts don't have a lot of options, legally speaking. They can try to sue in the courts of the country that has the items, but that means a costly, long and uncertain legal battle. While most of the countries in question have laws in place that require the return of stolen artifacts, many of the disputed items were acquired long before these laws were enacted. Financially, it's logical for the museums to want to keep these items. Iconic items can help draw millions of visitors a year and both the Rosetta stone and the Elgin Marbles are considered hallmarks of the British Museum. And even though the British Museum may not charge for entry, it only takes a few moments in its gift shop to realize how much money it makes from items like the Rosetta stone. Of course, when arguing about things like cultural property, talking about money is considered a little crass. So the museum and others like it have come up with a set of arguments that do seem to hold a bit of water. Some argue that their ability to preserve the items in question far outweighs the ability of the countries seeking their return." In February-March 2007, a Belgian Archaeological Mission, financed by Yale University (with the co-operation of Vodafone Egypt) and directed by Dr. Dirk Huyge of the Royal Museums of Art and History in Brussels (Belgium), started a rock art research project at the Qurta sites, on the east bank of the Nile, along the northern edge of the Kom Ombo Plain, about 40 km south of Edfu and 15 km north of Kom Ombo. The team also included scientists from Yale University (USA), University of California Los Angeles (USA), Australian National University (Canberra, Australia), American University in Cairo (Egypt), and Ghent University (Belgium). Rock art research by the same mission in 2004 in the el-Hosh area on the west bank of the Nile, about 30 km south of Edfu, led to the discovery of an intriguing rock art locality at the southernmost tip of a Nubian sandstone hill called Abu Tanqura Bahari, about 4 km south of the modern village of el-Hosh. This locality shows, among other things, several images of bovids executed in a naturalistic, ‘Franco-Cantabrian, Lascaux-like’ style, which are quite different from the stylised cattle representations in the ‘classical’ Predynastic iconography of the 4th millennium BC. On the basis of patination and weathering, these bovid representations are definitely extremely old. As these el-Hosh bovid images are comparable to cattle representations that had been discovered in 1962-1963 by a Canadian archaeological mission (the Canadian Prehistoric Expedition) on the east bank of the Nile, in the Gebel Silsila area, the Belgian mission attempted to relocate the latter images. The attempt was successful and the sites were relocated in March-April 2005 near the modern village of Qurta, along the northern edge of the Kom Ombo Plain. Intensive surveying of the Nubian sandstone cliffs immediately east of the village of Qurta led to the discovery of three rock art sites, designated Qurta I, II and III. At each of these sites several rock art locations, panels and individual figures were identified. In total there are at least about 160 individual figures. The rock art of Qurta consists mainly of naturalistically drawn animal figures. Both hammering and incision have been practised to create the images. Bovids are largely predominant (at least 111 examples), followed by birds (at least 7 examples), hippopotami (at least 3 examples), gazelle (at least 3 examples) and fish (2 examples). In addition, there are also (at least) 7 highly stylised representations of human figures (shown with pronounced buttocks, but no other bodily features). None of the animals present shows any evidence for domestication. There is no doubt that the bovids represented should be identified as Bos primigenius or aurochs (wild cattle). The Qurta rock art is quite unlike any rock art known elsewhere in Egypt. It is substantially different from the ubiquitous ‘classical’ Predynastic rock art of the 4th millennium BC, known from hundreds of sites throughout the Nile Valley and the adjacent Eastern and Western deserts. In 1962-1963, the above-mentioned Canadian Prehistoric Expedition working in the area discovered and excavated several Late Palaeolithic settlements in the vicinity of the rock art sites. The most important of these is GS-III, situated at a distance of only 150 to 200 m from the Qurta I rock art site. At this Palaeolithic site fragments of sandstone were found on which linear grooves had been incised; in one case they formed several deep parallel grooves. This at least proves that the Late Palaeolithic inhabitants of the Kom Ombo Plain practised the technique of incising sandstone. The GS-III site and similar sites found by the Canadian Prehistoric Expedition and other missions in the Kom Ombo Plain in the early 1960s are currently attributed to the Ballanan-Silsilian culture, dated to about 16,000 to 15,000 years ago (BP). Climatologically this corresponds to the end of an hyper-arid period, preceding a return of the rains and the ‘Wild Nile’ stage of about 14,000-13,000 BP. The fauna of these Ballanan-Silsilian and other Late Palaeolithic sites in the Kom Ombo Plain suggests a culture of hunters and fishermen with a mixed subsistence economy oriented to both stream and desert for food resources. It is essentially characterized by the following elements: aurochs (wild cattle), hartebeest, some species of gazelle, hippopotamus, wading and diving birds (including numerous goose and duck species) and some fish species. With the exception of hartebeest, this faunal inventory perfectly matches the animal repertory of the Qurta rock art sites. Both in the Late Palaeolithic faunal assemblages and in the rock art large ‘Ethiopian’ faunal elements, such as elephant, giraffe, and rhinoceros, are conspicuously absent. Because of its particularities, the rock art of Qurta reflects a true Palaeolithic mentality, quite closely comparable to what governs European Palaeolithic art. An attribution of this Qurta rock art is proposed to the Late Pleistocene Ballanan-Silsilian culture or a Late Palaeolithic culture of similar nature and age. In this respect, it can hardly be coincidental that the comparable site of Abu Tanqura Bahari at El-Hosh is also situated at close distance (only at about 500 m) from a Late Palaeolithic site that, mainly on the basis of its stratigraphical position, must be of roughly similar age as the Ballanan-Silsilian industry of the Kom Ombo Plain. There remains therefore little doubt that the rock art of Qurta must be about 15,000 years old. 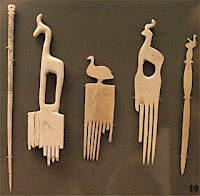 It constitutes the oldest graphic activity recorded in Egypt until now. It provides clear evidence that Africa in general and Egypt in particular possesses prehistoric art that is both chronologically and aesthetically closely comparable to the great Palaeolithic art traditions known for a long time from the European continent. The rock art of Qurta, which is truly a ‘Lascaux along the Nile’, should therefore be preserved at any price. Because of the amount of rock art present at Qurta and the extremely difficult recording conditions - scaffolding had to be constructed at several locations - the recording work has not yet been completed and will be the subject of a next campaign by the Belgian mission in early 2008. Hawass continues his detailed suvey of the data available for the identification of the Younger Lady, one of three mummies in the KV35 cache. As expected, he concludes that the mummy is not as Joann Fletcher suggested, the Amarna queen Nefertiti, but remains instead a mystery: "The CT scan confirmed that the mummy known as the "young lady" was a female and not a male as previously suggested. Fletcher also concluded that the young lady was 30 years old. The CT scan concluded that the mummy was actually between 25 and 35 years of age. The last two points of evidence are similar, but all the other evidence suggests that this mummy cannot be Queen Nefertiti. In this respect, we must close this subject and begin to make further studies to identify our 'young lady'." Some excellent computer models accompany this article which again reviews the theory proposed by French architect Jean-Pierre Houdin, which suggests that the pyramid of Khufu was built from the inside out with the use of internal ramps. The images, generated by Dassault Systemes bring the theory very much to life. To accompany the opening of Napoleon's Description de L'Egypte exhibition, which is on dipslay from May 12th to 14th July 2007, the Beaux Arts Gallery (Dallas, Texas) has published an online story entitled The story of The Napoleonic Survey of Egypt. "The members of Scientific and Artistic Commission returned to Cairo with their portfolios packed with drawings and data that served as the foundation material for their anticipated publication of Description de L'Egypte. They wanted to return to France in order to compile their drawings and data into the publication, but were forced to remain in Egypt for two additional years, until the surrender of General Abdullah Jacques Menou on September 3, 1801 to British forces. By the end of the month, the last of the French army and members of the Commission had left the country. They managed to remove their drawings and other documentation along with some of the antiquities back to France, but the British confiscated the Rosetta Stone and other valuable antiquities, which were sent to the British Museum. In the end, the Egyptian campaign had been very expensive in cost to human life, one man out of every three that had departed France three years earlier had died. After arriving back in France, a decision was made in 1802 to publish Description de L'Egypte, and the action included the payment of fixed salaries to the members of the Commission, at the expense of the public library. The publication required the next quarter century for the savants to put their collections, illustrations, and memoirs into print." "Computer scientists and cultural heritage researchers are assessing whether today's increasingly sophisticated 3-d computer technology can be combined with the most recent historical evidence to produce significantly improved visual reconstructions of churches, palaces and other ancient sites. This could help historians, students and museum visitors gain a much better feel of how such sites were perceived by the people who used them in the past and what it was actually like to be there. The project is being funded by the Engineering and Physical Sciences Research Council (EPSRC). The work is being carried out by researchers from Warwick Manufacturing Group and the new Warwick Digital Laboratory, University of Warwick. In particular, the effects of smoke, dust, fog and interior lighting conditions (all of which would have impacted on the way that buildings were experienced by contemporaries) can now be modelled very accurately, for the first time. New developments in display technology also mean it is possible to produce images that are many times brighter, more vivid in colour, incorporate better contrast between light and dark -- and are therefore much more realistic -- than those previously achievable." "Ministry of Culture will carry on with the second and third stages of a project of developing the Valley of Kings in Luxor City, Upper Egypt. The first stage, which started three years ago, finished by building an international center for guests. Secretary General of the Supreme Council of Antiquities (SCA) Zahi Hawwas said the center is an example of the Egyptian government's plans for the renovation of the Valley of the Kings that first came to light in Japan. Hawwas added that the second and third stages will be completed in cooperation with the Italian side." "Marshall is an African archaeologist whose research incorporates zooarchaeological and ethnoarchaeogical approaches to the beginnings of food production and the development of pastoralism — tending of large herds of animals — in northeast Africa. She has published many articles on these topics and is conducting a National Science Foundation-sponsored multi-year study on African pastoralism and the domestication of the donkey. . . . Marshall also examined modern African populations in an attempt to determine how many people use donkeys and whether or not they are important to modern pastoralist societies. 'No one has ever examined the importance of the donkey to pastoralists,' she says. 'Everyone knew donkeys were important to the early states because the Egyptians used them to establish land-based trade with the Sumarians and others. In fact, they were so important that donkey skeletons have been discovered in the tombs of Egyptian pharaohs.' "
I don't often publish Conference information or Calls for Papers (EEF do a much better job of assembling that data), but this one is one of a series of landmark conferences that deserves to be highlighted. I've published the original email in full, because there is no web address accompanying the details. The inaugural meeting of the international conference Origin of the State: Predynastic and Early Dynastic Egypt was held in Kraków, Poland, in August 2002. Following the success of the second meeting in Toulouse, France, in September 2005, the Scientific Committee invites papers for the Third International Colloquium on Predynastic and Early Dynastic Egypt, “Egypt at its Origins”, to be held at the British Museum, London, from Sunday 27th July to Friday 1st August 2008. This list is not exhaustive; the themes are merely intended to provide a focus for discussion, and further suggestions will be considered by the Scientific Committee. Acceptance on the programme is based upon the review of abstracts submitted. Papers will be assigned to individual sessions (titles to be confirmed) by the Scientific Committee. A conference website, currently under construction, will contain further information regarding registration, accommodation and schedule. We look forward to welcoming our colleagues in London in 2008. Saunders, Nicholas J (2006) Alexander's Tomb: The Two Thousand Year Obsession to Find the Lost Conqueror, The American University in Cairo Press, Cairo. "Saunders travelled for decades, carrying out research and taking notes in Greece, Turkey, and Egypt, but his journeys only served to raise new questions and strengthen his interest in this towering historical figure. "For over twenty years," he writes, "the idea of Alexander the Great's tomb has been a fascination. It was less an interest in discovering the tomb or its site, than of searching for its traces in the world, tracking its influence on history, and charting the lives and times of the various characters and personalities who have been associated with it." Alexander's Tomb brings together thousands of years of conjecture, combining a detailed chronological account of the history of the tomb with the first publication of new discoveries. Using maps and discussions of where the walls of Alexandria stood, and how they changed, Saunders lays out the most likely possibilities. New research is now revealing hitherto unrecognised evidence, and there is excitement in some academic circles." The exhibition at the National Gallery of Victoria (Australia) looks at travel photography world wide, but includes some notable images of Egypt. Such poetic descriptions of the East had been feeding the Western imagination since the 1700s, but there remained a lingering fear of the dangers that its exotic locales might present. Here again, photographers did their bit for the burgeoning tourist trade. In Ascension of the Grand Pyramid, Peridis captures a group of Europeans being escorted, sometimes hand in hand, by evidently friendly locals. 'I've found heaps of these images,' Finch says. 'One of the rationales for these photos was that they presented a really safe view of Egypt. The idea that you could go and, even though it was in this very exotic location, it was welcoming and they would help you.' "
Thanks to all for bearing with me - I managed to post a few items, but I had no access to email and the dial up connection was so slow that I didn't spend as much time as usual hunting around for items. Normal service has now been resumed! Sincere gratitude as ever to Kat Newkirk and Chris Townsend for continuing to keep me up to date. "A few years ago, a Czech expedition headed by Egyptologist Miroslav Verner discovered a tomb that had not been touched by man for over 2,500 years. The tomb, which belonged to palace official Iufaa, was discovered in Abu Sir, a site located between the Giza pyramids and Saqqara and contains over 11 pyramids called the forgotten pyramids. The tomb dates from the so-called Saite period—the period of the 26th dynasty. The tomb was found in a 30-meter deep shaft and its ceiling was in very poor condition. Verner and I agreed that we should build a dome above the tomb for protection. The dome, made of concrete, took one year to complete and was a miniature version of the dome built in Abu Simbel that was covered with sand to give it a natural look and to which the [Great] Temple of Ramesses II was later relocated. Verner visited my office in the area of the pyramids and told me that they had found an intact tomb that had never been touched by a human being. He asked me to join him in revealing the tomb. We found approximately 408 ushabti figurines (also called answerers) that ancient Egyptians placed beside the tomb to answer questions and serve the deceased in the afterlife, (hence we found a specific figurine for every day of the year and there were also 35 statues representing the supervisors of the ushabti figurines and were supposed to oversee the ushabti and ensure that they performed their duties, as well as eight chiefs for each statue.) The pleasant surprise was the 60-tonne limestone sarcophagus that was found in good condition in the middle of the tomb. When I examined the sarcophagus, I found that it had been sealed since the body was buried inside it." "Tourists to Egypt are heading to the Red Sea in larger numbers than those wanting to see the ancient Pyramids. Red Sea resorts are the destinations for a majority of visitors to the Arab world's largest country, tourism officials say. The chairman of the Egyptian Tourist Authority Amr el-Ezabi gave these facts in an interview with the local Gulf Times newspaper on Saturday. El-Ezabi told the Gulf Times that in 2006 approximately 70 percent of the nine million tourists in Egypt went to resorts on the Red Sea, Sinai and even the Mediterranean Sea, leaving the ancient wonder to a backdrop on visits. The trend has been ongoing since the 1990s, when Egypt began to develop resorts along the Red Sea and Sinai, however, the Pyramids remained popular, el-Azabi said." See the above page for the rest of this brief update. "Chinese-funded dams and other projects potentially threaten Africa's environment and local populations, an environmental group said Monday, urging Beijing to avoid similar mistakes made by Western donors. Civic groups need to be engaged over projects such as the Merowe dam in Sudan, which is forcing 70,000 people from their homes in the Nile Valley into the Nubian desert, the U.S.-based International Rivers Network said in a statement." Anyone who followed my Weekly Website links to Nubian archaeology sites will know that the Merowe Dam is also going to drown considerable areas of archaeological value.
" Jim Harrell, 58, does not stand out in a crowd. He is of medium build, with medium brown hair, and a tidy, graying beard. A lifelong bachelor who shares his home with six cats, he speaks in a composed, methodical manner that hints at a deep unflappability. Perhaps that's what brought him safely through encounters with outlaws and smugglers, through near-death by dehydration, face-offs with jackals, and a night fleeing wild dogs while lost in the desert. And that's just the icing. He is most likely the world's leading expert on ancient Egyptian mines, having made it his mission to visit them all. While some of those mines were known before Mr. Harrell stopped by - such as the mines for Egypt's cloudy light-green emeralds - many were identified only after he ranged into the rocky oven of the Eastern Desert, which lies between the Nile and the Red Sea. Among his discoveries are ancient petroleum wells that Egyptians dipped out with ceramic vessels. The vessels were still scattered about."